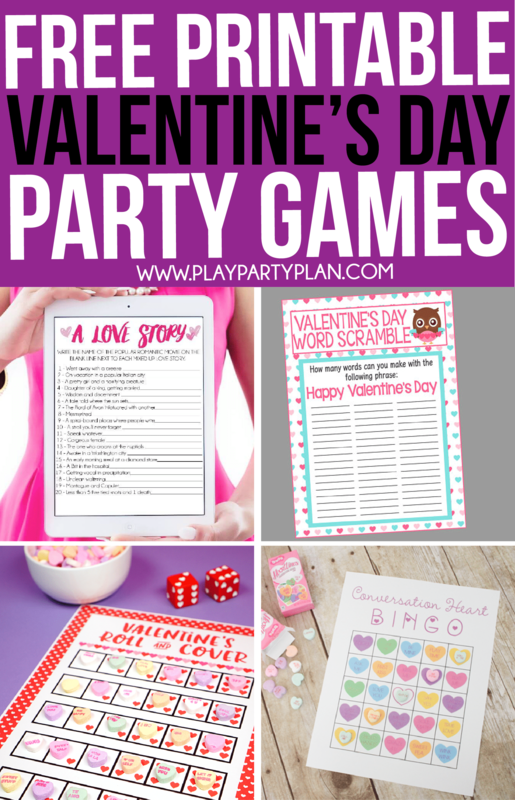 This collection of the best Valentine’s Day games includes everything from Valentine’s Day classroom games to Valentine’s day party games for big groups! Free printable games, Valentine’s Day games for kids, Valentine’s Day games for couples, and pretty much everything you could think of! These are my favorite kind of games – the Valentine’s Day games that get you up and moving around! Either you’re doing something active or interacting with other people, but no matter what – these games will be fun! 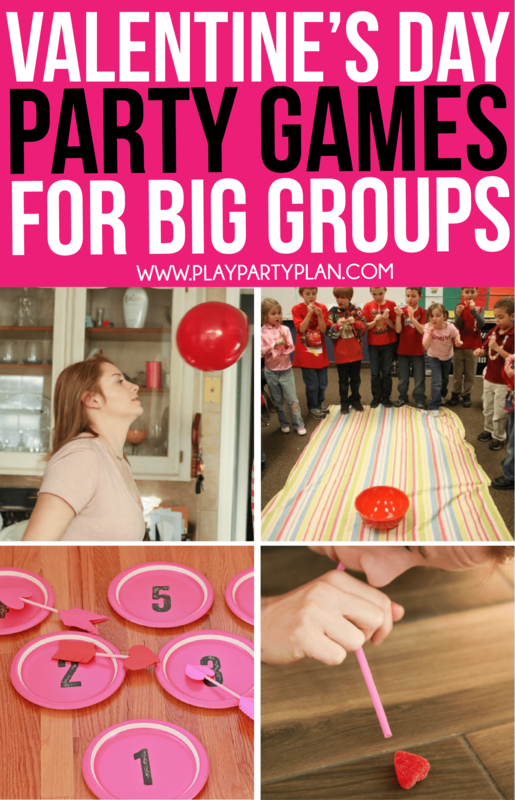 These 14 Valentine’s Day party games (minute to win it games) from Play Party Plan are pretty much the funniest games you’ll find, definitely my favorites! Or if you’re playing with adults, these chick flick inspired minute to win it games from Play Party Plan would be an even better option! This cute pin the heart on the fox game seriously couldn’t be any cuter! Foxes, hearts, cuteness. 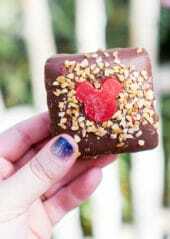 Perfect for Valentine’s Day. This cupid arrow’s Q-tip shoot game is designed for kids but could totally be a game for a Galentine’s Day party too! Let kids pretend to be cupid, or was it Q-pid. This cupid arrow’s toss game from Playground Park Bench is a great way to incorporate practicing numbers and hand eye coordination. Want to use it as a game for adults? Take a step back and blindfold them! Set up this Valentine’s Day heart bean bag toss for a simple game that become more challenging by where you toss the hearts from! Next up are Valentine’s Day games for kids because they’re the easiest and probably the type of games you need the most since Valentine’s Day classroom parties are huge! These games would work both for Valentine’s Day classroom parties or even just at home with your own kids. They’re all simple enough that young kids could play them but fun enough that they’d work for older kids as well! 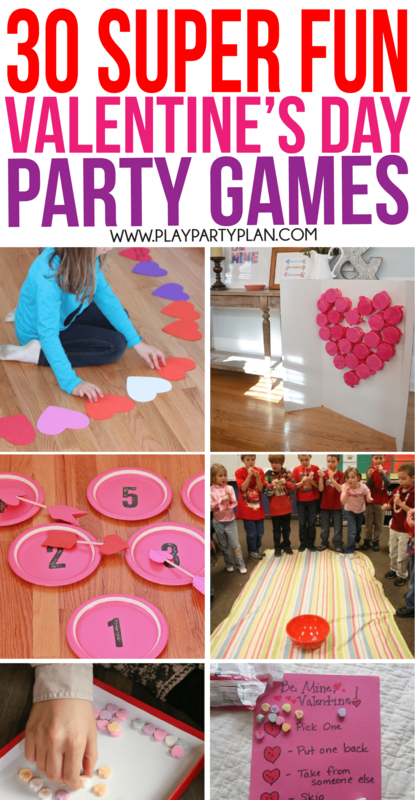 This Valentine’s Day memory game from Play Party Plan is a simple, fun, and educational game for kids! Have kids use chopsticks to try and pick up conversation hearts in this fun conversation heart pick up game from The Tiny Tiara. If you’re playing with younger kids, forget about having a winner and just let kids eat the conversation hearts they’re able to pick up in the time frame! Get kids moving to music with this simple musical hearts game from Teach Mama. This Heart is Bursting punch board from Balancing Home would be a fun way to give kids treats at a classroom party! I did something similar for Thanksgiving with The Gratitude Game and it was a huge hit! This cooperative Valentine’s Day board game from Houts Home has kids working together to deliver valentines! Co-op games are my favorite, in case you couldn’t tell from my list of the best board games ever! This heart hopscotch game from Toddler Approved is another fun way to get kids moving in a creative Valentine’s Day themed way! Print out these unique Valentine bingo cards from Play Party Plan! Perfect for kids or adults! 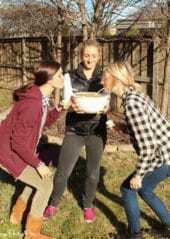 This simple heart race game from Little Family Fun could be really funny and only needs a spoon, bowl, and some felt hearts! Kids will love these Valentine’s Day seek and find cards – I know my son did! This Be Mine Valentine game from The Unlikely Homeschool uses a dice and conversation hearts for a fun time! This Valentine’s Day cupid arrow toss game would be great for a classroom party! These games are probably the easiest in the bunch; they’re the ones you can just print and go. Download the file, print the file, and pass it out to whoever is playing. I put together a list that includes printable games for kids but also printable Valentine’s Day games for adults because those tend to be the people I play with the most! Want a bunch of printable Valentine’s Day games all in one place? Check out this Valentine’s Day game bundle that comes with FIVE different printable games including 40 unique bingo cards, a scavenger hunt, memory game, and more all in one printable bundle! Kids will absolutely love this free printable Valentine’s Day Scavenger Hunt from Play Party Plan. This printable Love Song game from Play Party Plan has players trying to guess the name of popular romantic songs. 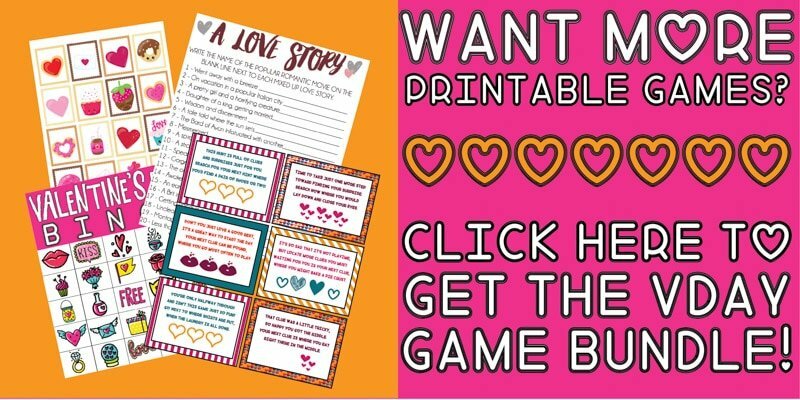 This printable Love Story game has players from Play Party Plan trying to guess the name of a mixed up popular romance movie! This Valentine bingo cards from Play Party Plan comes with 40 unique cards – perfect for classroom games, parties, or a fun night at home! If regular bingo doesn’t work for you, then how about this cute Conversation Heart Bingo game from Create Craft Love? This Valentine’s Day roll and cover dice game from Happiness is Homemade is a fun one for kids or adults! Let kids or adults try to figure out the most words in this Valentine’s Day word scramble from Lilacs and Charcoal. This printable Valentine’s Day MASH game from Emmy Does Design will take you back to middle school! All you need for this fun Valentine’s Day Matching game from Creations by Kara are some chocolate kisses and the free printables. This Heart to Heart printable game from Say Not Sweet Anne is another fun one that could be great for adults! 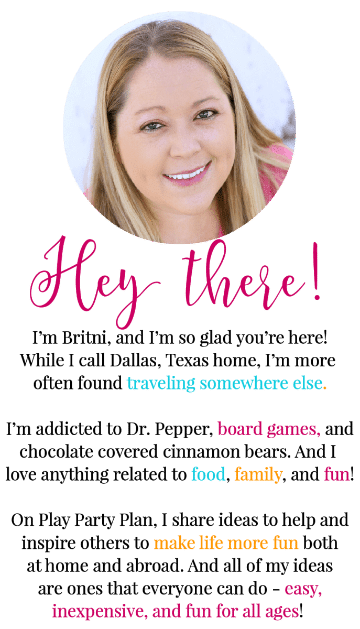 Printable Valentine’s Day mad lib from Creative Living in the Burbs will have everyone laughing after you fill in the blanks! 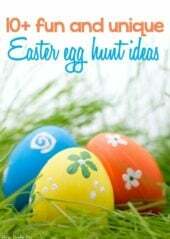 Great ideas!! My huge sweet tooth really loves the Hershey Kiss matching game lol! 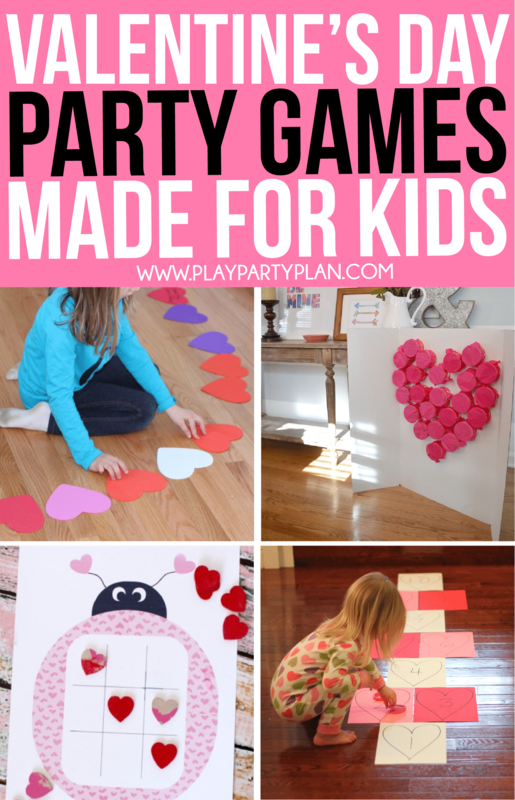 These Valentine’s Day party games are perfect plan for kids. I love all these game ideas thanks for the ideas.